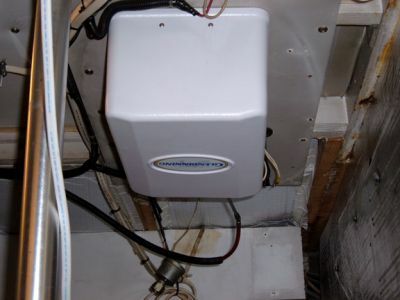 Installation of the Glendinning electronic conrols. 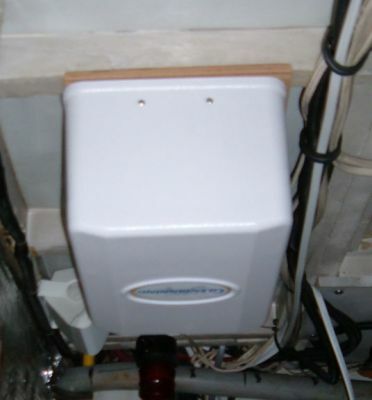 The starboard Glendinning control box is mounted in the location that the Glendinning synchronizer was previously located. This unit will preform the synchro function so the old unit was no longer needed. 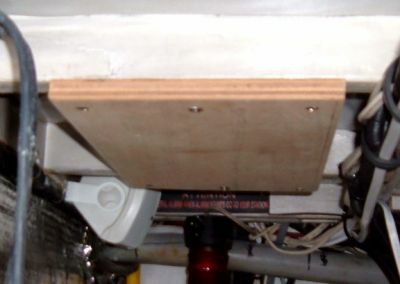 To mount the port smart box, we have installed a piece of 3/4" plywood with 6 - #14 screws to the overhead area. Here is the mounted port smart box. The units are now ready for TW (Tommy Ward) to do the final connections and tweaking.